Someone Bought This: WrestleMania XI cap - WrestleCrap - The Very Worst of Pro Wrestling! 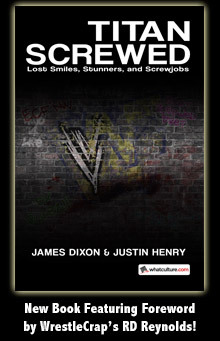 WrestleMania XI was not a very good show… in fact it was probalby the worst WrestleMania of all time. But WWE made this baseball cap anyway because they thought someone would want to remember it. Why is the logo in teal? Someone Bought This: Tatanka! Baseball Cap! 5 Responses to "Someone Bought This: WrestleMania XI cap"
Without question this must have been made to capitalize on the phenomenal performance given by former MLB umpire Larry Young who served as referee during the epic encounter between The Undertaker and King Kong Bundy. I’m sure that “Cap” is missing an R.
Teal was just one of those 90’s colors that was suppose to scream “extreme!” and “wild!”. I had this beauty. If I recall correctly it was packaged with the official PPV event progrem… er, program. I remember the hat part being incredibly shallow, or maybe I just had a really tall head. 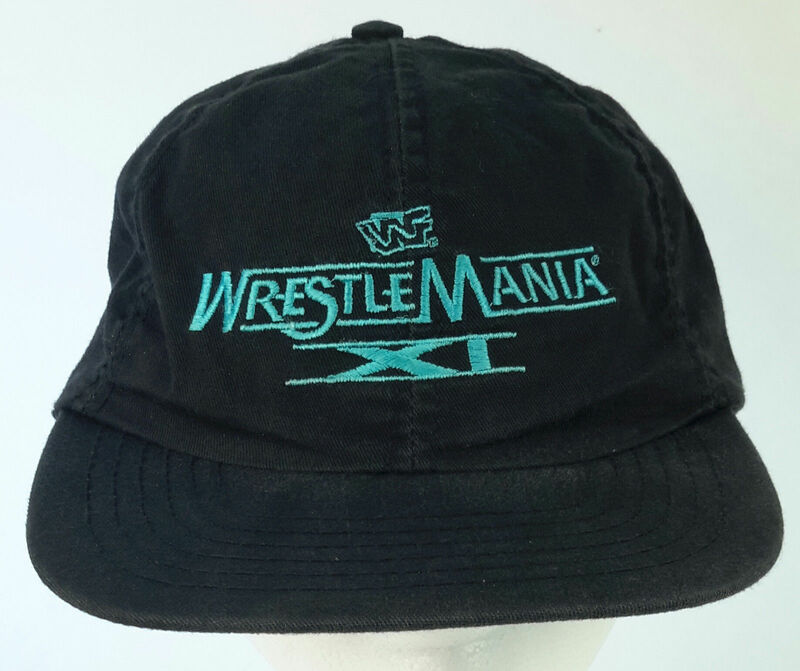 I also had the WrestleMania X hat which was actually quite stylish with its microsuede brim.